It’s not always easy to keep track of concerts in your area. If you live in a big city, it’s virtually impossible to stay abreast of every musical event due to the sheer number of gigs happening every day. Conversely, if you live a rural area, gigs might so infrequent that you never bother checking the listings. Well, Spotify can help with its concert feature. The feature itself is nothing new — it’s been available since 2015. 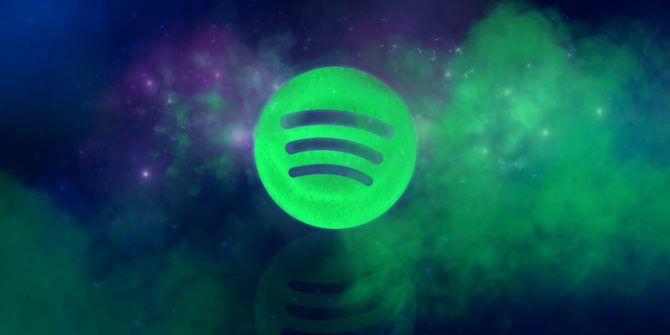 But since its launch, Spotify has slowly been adding more and more features. If you’ve not checked it out in a while, it might be time to pay another visit. Here’s how Spotify will help you never miss a big concert again Never Miss a Live Concert Again With These 6 Sites Never Miss a Live Concert Again With These 6 Sites Did you just miss a music concert that you would have loved to see? Use these 6 ways to get notified when your favorite bands are in town. Read More . To access Spotify’s concert features, fire up the desktop app and click on Browse in the left-hand column. Next, select the Concerts tab. Next, you need to update your location. Spotify will automatically know your current whereabouts thanks to your IP address, but if you live an hour outside a major metropolitan area, it’s much more sensible to use the nearby big city as your hometown. Click on Change to get started. As soon as you’ve chosen your location, a list of concerts will be shown below. They are split into two sections: Recommended For You and Popular. Both sections are listed in chronological order. Multiple shows from one artist are listed under collapsible arrows. To see information about a concert, click on the name of the artist or festival. Thanks to a deal that Spotify signed with Eventbrite in mid-2017, the app will tell you the location of the event, the time of the gig, and the supporting artists/festival line-ups. Most importantly, it will give you the price. Remember, because you’re in the Spotify app, you’ll also get full artist bios. You can even click on the name of an artist you don’t recognize to see if you like their music. Finally, if you want to buy a ticket, hit the Find Tickets button. Your browser will immediately take you to the website of the authorized ticket seller for the event 5 Awesome Sites to Exchange or Buy Tickets for Sports, Concerts, and More 5 Awesome Sites to Exchange or Buy Tickets for Sports, Concerts, and More There are plenty of sites on the side where you can buy, swap, and exchange other people's unwanted tickets. Here are five of the best. Read More . Do you use Spotify to find nearby gigs? What content would you like to see in the Concerts tab in the future? Let us know in the comments. The Best IPTV Set Top Boxes in 2019Amazon Echo Owners: Spotify Premium or Amazon Music Unlimited?